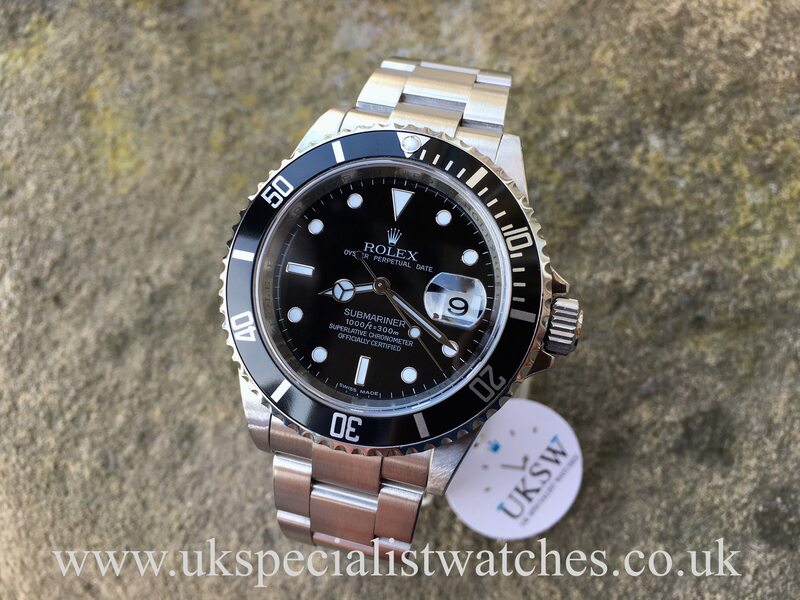 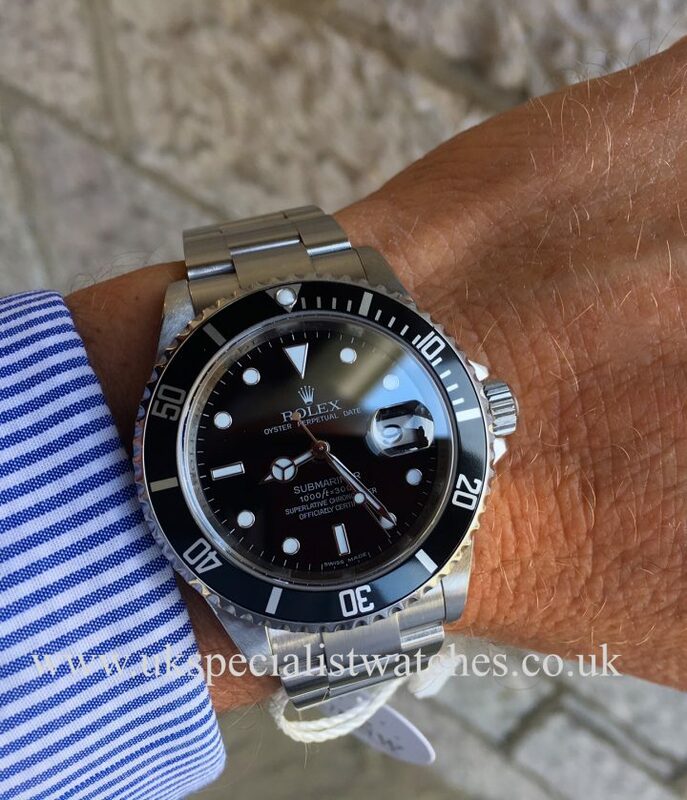 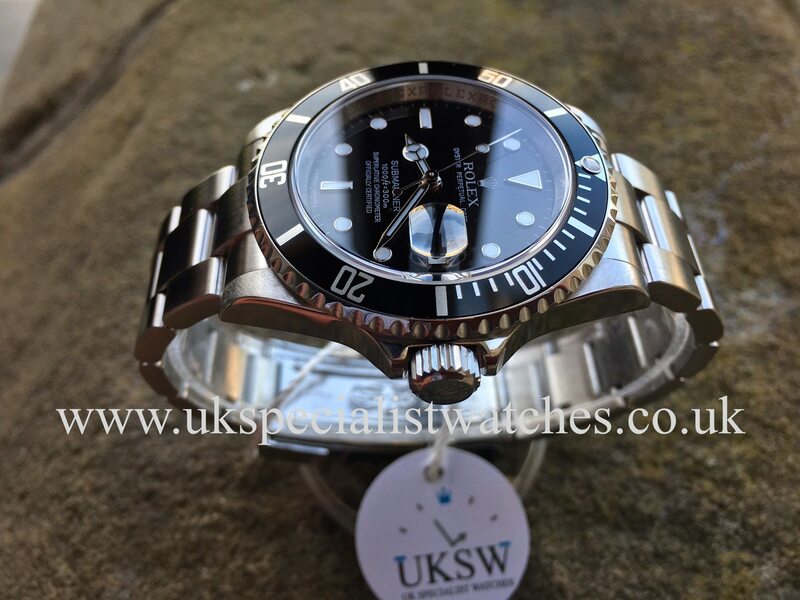 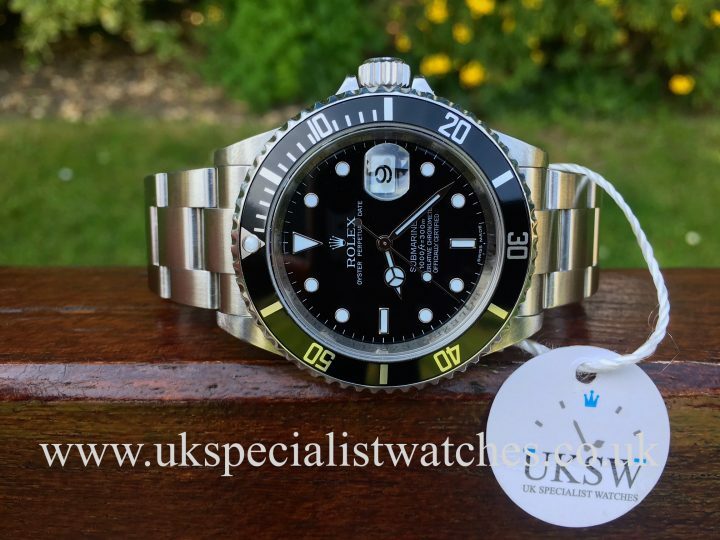 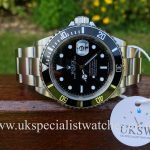 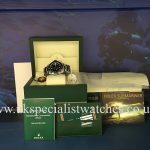 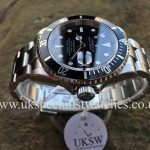 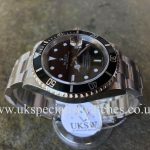 Rolex Submariner Date 16610 Final Edition 2008. 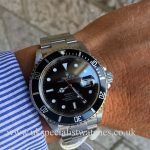 M serial. 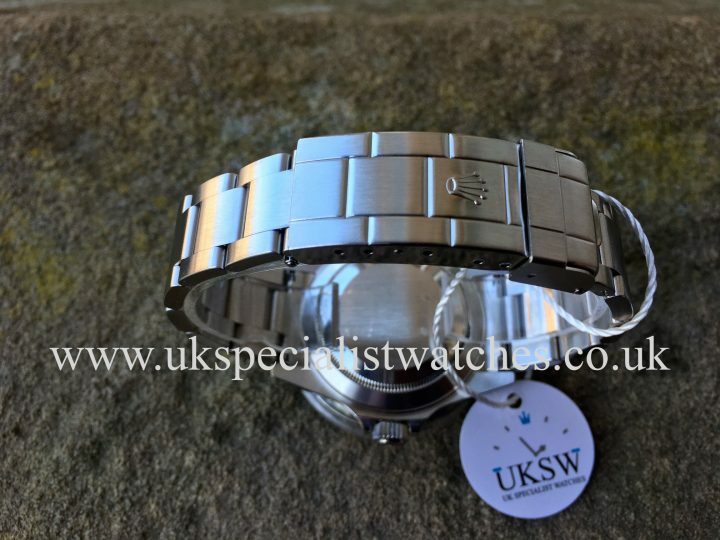 Stainless steel 40mm case with sapphire crystal glass. One of the last aluminium bezel models. 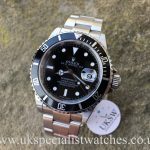 Our example features the Rolex “Rehaut” engraving on the inner bezel and serial number visible at the 6 o clock position. 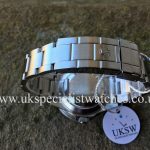 Fitted to a stainless steel oyster bracelet with double folding clasp and divers extension link. 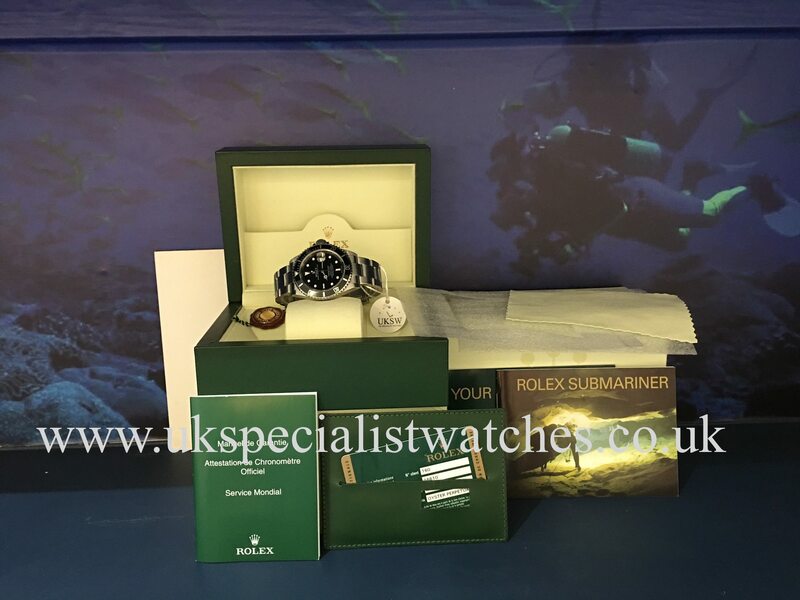 Our example comes complete with Box, stamped warranty card, booklets, and swing tag. 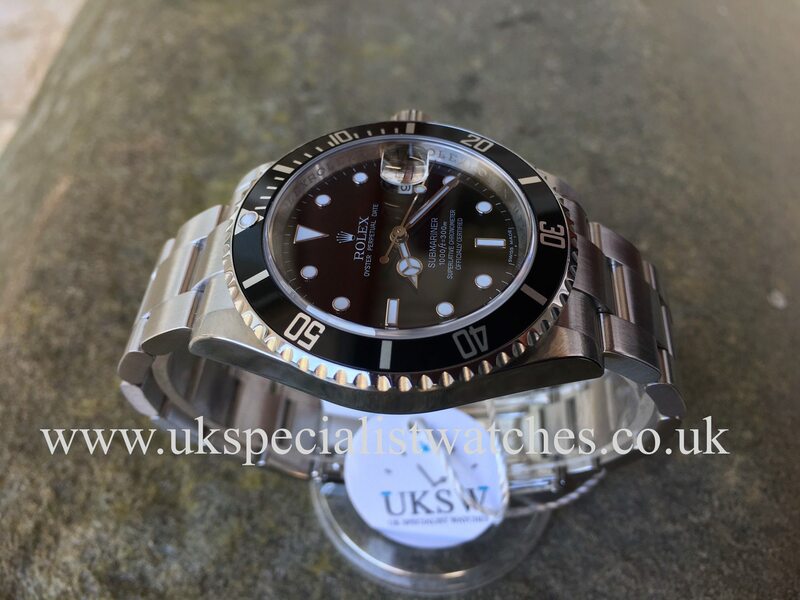 UK Supplied new November 2008, M72**** serial number.